This is my current moisturiser and one I’m loving, I even have a second tube for when I run out. For some reason the eczema on my legs flares up during autumn and winter so I prefer this lotion to the daily one (I’ll be writing a review shortly). This helps to relieve itching a lot which is perfect! I also find that this lasts a long time on the skin, I will apply it before bed and then the next evening I can still feel it on my skin. 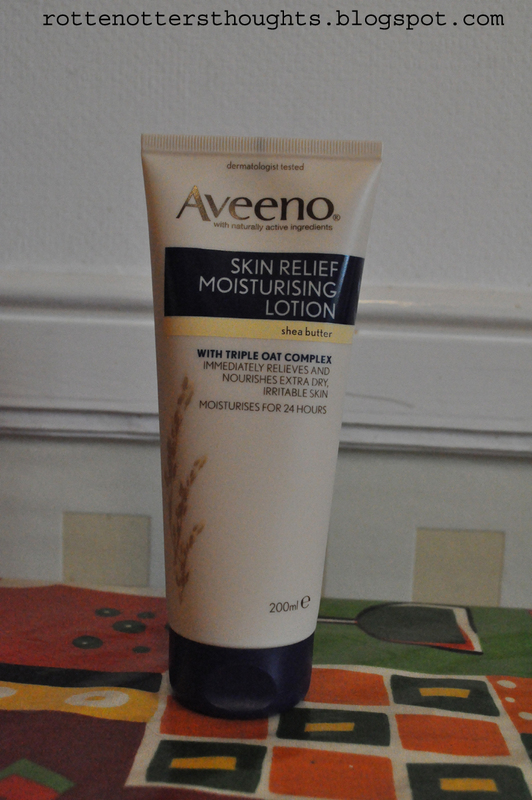 This moisturiser doesn’t have a particularly strong scent so won’t effect your perfume. Have you tried any of the Aveeno moisturisers? What did you think?